A popular, well-equipped family vehicle, Toyota's Sienna minivan continues to showcase itself as a desirable mode of family transportation in 2018. Featuring refreshed front end styling consisting of a lower, larger grille and enlarged fog light compartments, the 2018 Sienna's new look complements the powertrain upgrades performed to the vehicle last year. Powered by a D-4S fuel injected 3.5-liter V-6 engine paired with an eight-speed automatic transmission, the Toyota Sienna is the only minivan available with all-wheel drive. 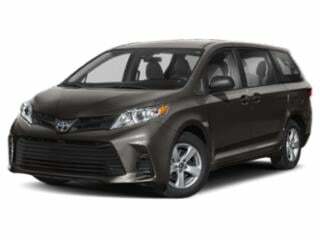 The Sienna's reputation as a family van is enhanced for 2018 through the addition of Toyota Safety Sense P accident avoidance technology equipped with Pre-Collision System with Pedestrian Detection and Lane Departure Alert with Steering Assist. Capable of seating up to eight occupants, the 2018 Toyota Sienna's interior boasts improved audio and connectivity with the automaker's Entune multimedia system. A Toyota Entune 3.0 with Connected Navigation is included on the Sienna L while the higher trim Limited features a system with standard JBL audio technology.